With plenty of moving services, Meathead Movers is fully prepared to make Santa Ynez your new home. Our clean-cut student athlete movers are dedicated to fulfilling all your moving needs efficiently. A stress-free move to Santa Ynez with Meathead Movers! Although Santa Ynez is a small town, it has a lot going for it. The nearby Chumash Casino and Resort and the Santa Ynez Valley Wine Club gives people plenty to do throughout the year. Santa Ynez is also very close to Neverland Ranch, which was the home of the late Michael Jackson. Are you thinking about moving to or from Santa Ynez anytime soon? If you are making a move soon, be sure to check out what Meathead Movers has to offer. Other Santa Ynez movers can’t come close to offering the level of service and professionalism that we do. All our Meatheads are college student-athletes who are trying to earn a bit of extra money for school. They are clean-cut, non-smoking, drug-free All-American students. We put all our Meatheads through a rigorous screening and training process to ensure that we are providing the best of the best in the moving industry. Our movers are polite, and they will treat you, your family and your things with the respect they deserve. They will also show you our trademark Meathead hustle: whenever our Meatheads aren’t carrying your items, they’ll jog to and from where they need to be, saving you time. How many other Santa Ynez movers can say that? At Meathead Movers, we offer several moving and moving-related services. We can undertake local moves, commercial moves and long-distance moves, and we also can provide you with storage services and our signature move concierge service. Is your upcoming move stressing you out too much? Are you finding that you just don’t have enough time to complete all the tasks that need to be done? Our signature move concierge service can put you in touch with junk haulers, house cleaners, carpet cleaners, maintenance workers and babysitters who all meet the Meathead standard of quality and service. We want to do everything we can to help you out when you’re with us. That’s the Meathead Difference. 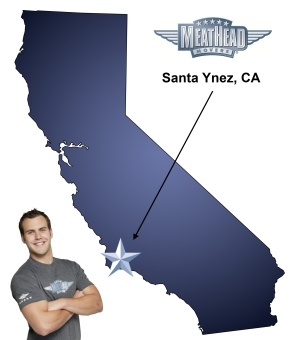 If you are moving to or from Santa Ynez anytime soon, call or contact Meathead Movers to learn more about our services. Our friendly staff will also be more than happy to give you a free, no-obligation moving quote. We know that there are a lot of options when it comes to Santa Ynez movers, but we know that we are a cut above the competition. We are Meathead Movers, and we are California’s premier moving company. Moving to Santa Ynez? Here are some helpful resources. View more Santa Ynez resources. Movers were extremely polite and helpful. They worked quickly and efficiently. I would absolutely use them again and highly recommend their services. Everything was awesome. All the guys worked hard and were very nice people! Great job. Great men and women. Always a great group of really nice and super capable guys in the two moves we have made in just under a year! Made the process seamless and bearable. We are repeat customers so that says a lot!